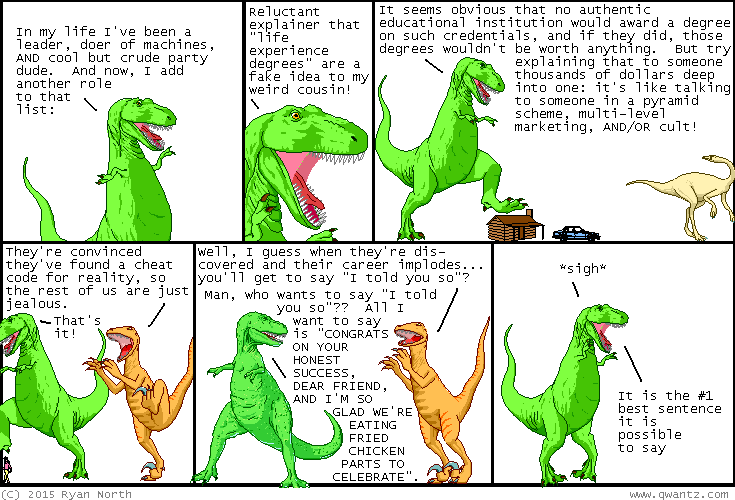 Dinosaur Comics - May 27th, 2015 - awesome fun times! May 27th, 2015: I read this article when researching this comic, thinking "hey, a bunch of people getting caught with fake degrees, this will be a satisfying read and not at all sad!" but it turns out, yeah, it's mostly sad.